I thought I would play along with this weeks Shabby Tea Room design challenge. This week's challenge was to use any three in a row embellishments on the inspiration board posted on there site. I didn't play by the rules necessarily, instead I went for a diagonal trio; Brads, Flowers and Ribbon. Anyway, I think you can win at bingo on a diagonal or is that just tick-tack-toe? Gorgeous! I love the colors and your image stamped on the dp! What a gorgeous card! I love the vintage feel with the bold colors. Thanks for joining us in The Shabby Tea Room this week. Love this - the colors are great! Super cute image too and a beautiful flower! So glad you could play along with us this week in the Tea Room! Very pretty, I love the colors!! 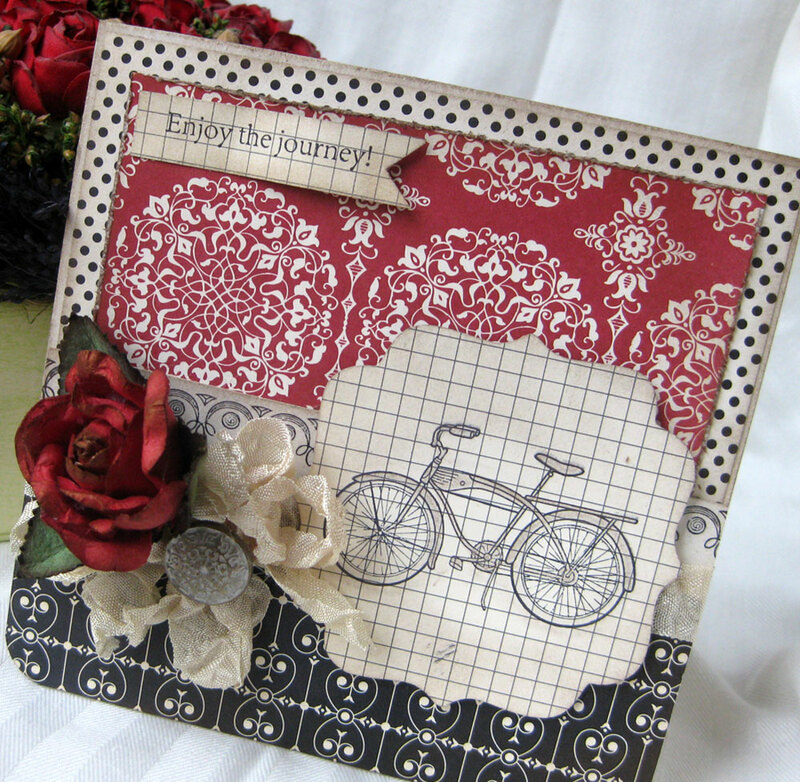 Such a beautiful card really love the bold red that stands out.